A thanksgiving service to open the official commemoration of Samoa’s 56th Independence Day celebrations paid tribute to Samoa’s forebears and their wisdom beyond their years. Leading the tribute was the Chairman of the National Council of Churches, Leaupepe Kasiano Leaupepe, during a church service at Mulivai Catholic Cathedral last night. It was the first official activity of the independence celebrations this year and it was well attended. 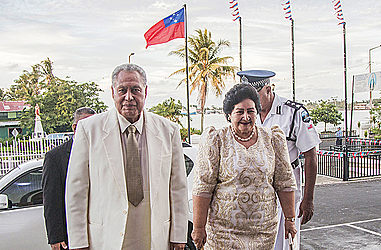 The Head of State, His Highness Tuimaleali’ifano Vaaletoa Sualauvi II and the Masiofo, Her Highness Fa’amausili Leinafo were there. They joined the Prime Minister Tuilaepa Sa’ilele Malielegaoi, his wife Gillian; Chief Justice, his Honour Patu Tiava’asu’e Falefatu Sapolu, Cabinet Ministers, Members of Parliament, Members of the diplomatic corps and guests. Leaupepe was assisted by Elder Faalogo Sapele, the Treasurer of the National Council of Churches. 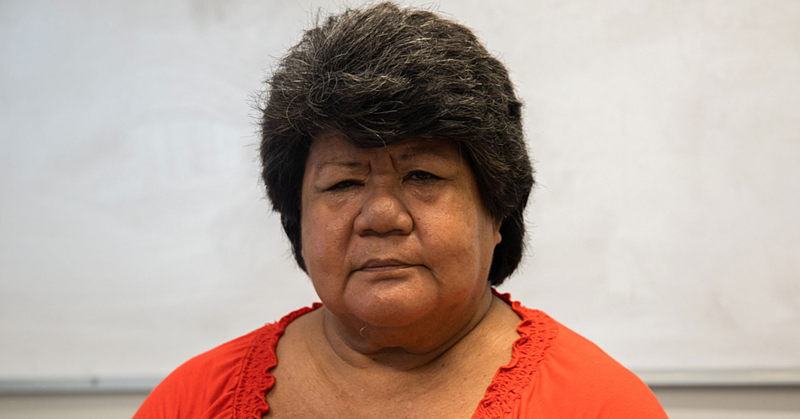 During the sermon, Leaupepe reflected on the hardship Samoa’s forebears faced in their attempts to regain political independence. “Our forefathers depended on one thing, the heart to do the impossible,” he said. He also briefly touched on the incident that arose out of Savai’i between Salelologa and Salelavalu, who have since mended their issues. “By now, they are eating, praying and weeping together,” he said. He also urged the public to remember the importance of prayer and the power it has. The celebration of Samoa’s 56th Independence Day will be held in front of the government building this morning. The official programme starts at 6.05am with the arrival of the official guests (see programme on page 3). The Head of State, His Highness Tuimaleali’ifano __Vaaletoa Sualauvi II, will deliver the official independence address followed by the raising of the flag by Member of the Council of Deputies, Le Mamea Ropati Mualia. Entertainment will be provided by the E.F.K.S. Youth Vaisala and E.F.K.S Youth Saleapaga. Cultural performances will then follow in front of the Government building.